Writing essays and other academic papers is the norm for most students in higher learning institutions. In most cases, writing the last paragraph can become tricky because one must pay attention to ensure that it does not weaken the essay or the research paper at hand. Now, when it comes to writing essay conclusions, one is supposed to reinforce their argument and give a summary of how you have proven its validity. The concluding paragraph vital role in the flow of the essay. Then being the case, not many people understand the importance placed on the conclusion. It is only good to make known these important aspects that underpin the conclusion of an essay. However, it is better to understand what a conclusion is so that we have a common ground of discussion. 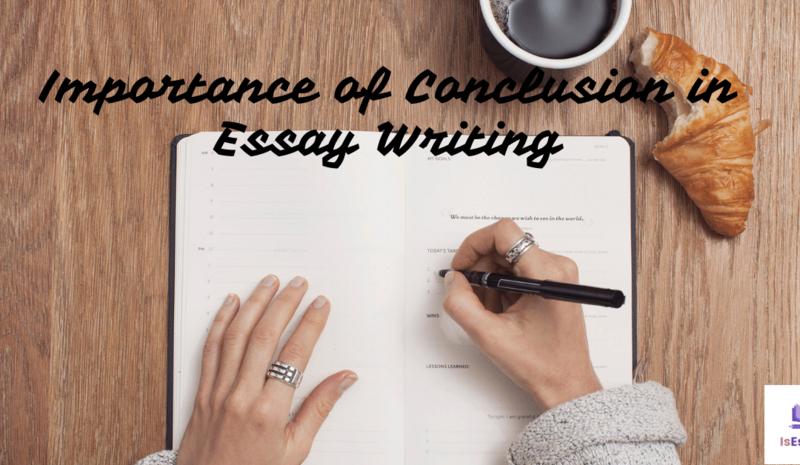 What is an Essay conclusion? This paragraph does not allow you to introduce any new information that you have not discussed in the essay. If you are writing a conclusion for your research paper, you can include recommendations for future research, or provide suggestions as to how your argument opens a new window of perspective on the topic. However, the introduction of new information in this paragraph will throw off the reader. If this information is crucial enough, it should have been on the discussion section of your paper. Furthermore, introducing new information will also affect the overall impact of your otherwise focused argument. The conclusion also summarizes your argument reminding the reader on how you have effectively proven your thesis. The summary deals with the major points that you have made in previous paragraphs. You need not argue this point s in the conclusion since you have already achieved that in the body of your text. The conclusion is supposed to be a reiteration of these points to show how they directly support your thesis. The conclusion makes the last impression on the reader with regard to your essay and your argument. As such, it is important you reiterate your thesis to ensure it is in line with whatever you mentioned at the start of your essay. Reiterating does not mean you copy your thesis and paste it in the conclusion. It means you can restate your thesis using different words, but you have to ensure that it retains the original meaning. Restating of the essay means that it should reflect the developments made within the body of your essay. Why is the conclusion so important? This is the last attempt that you have to convince the reader. As such, you have to ensure that they understand your perspective completely. You can organize and sum up your thoughts in the conclusion. It’s particularly important because sometimes you might have argued several conflicting points and as such, you have to sum it up in the best way that the reader will understand where you stand. Many writers fail to go through the ensure essay for different reasons. Instead, they go through the most important sections to get the gist of what the essay is talking about. This makes the introduction and the conclusion the most read parts in the entire paper. The introduction gives the reader an idea of what the essay is about, and also contains the thesis statement. The conclusion summarizes everything for the reader. You also need to avoid starting your conclusion with phrases like “In conclusion…” “In summary…”, or “In closing…” even though they can work on speeches. Do not also make sentimental or emotional appeals because they are out of character with your paper. Sometimes, you will find writers stating their thesis in the conclusion for the first time. This strategy can be tempting especially if you do not want to give too much in the early stages of your paper. You may think it is one of the best ways to keep your reader glued to your work to ‘wow’ them in the end, like a Sherlock Holmes kind of a mystery. The reader expects an analytical conclusion of your topic in an academic manner having stated your thesis up front. This one restates the thesis, is very short, and does not push the idea forward. This conclusion is written when people cannot think of anything else to say in the essay. This one includes extra information that the writer bumped into, but count includes it in the paper. Sometimes it might be hard to leave some details you discovered after you are done with research. However, this goes against the rules of writing a good conclusion. As earlier said, you are not supposed to bring in any new information, statistics of facts in your conclusion. The conclusion is the closing paragraph of your essay, which crystallizes your arguments and makes it transparent to the audience. It helps your reader walk away understanding what you meant to say. Therefore, it should be written in a manner-compelling manner because it can be the difference between the highest and the lowest grade. Take heed of the above ways of writing a conclusion and accord it the necessary importance it deserves.